I must be feeling a little homesick lately, I’ve been making Chinese homestyle dishes that my Mom would cook. Tofu has always been a regular staple at our house, Mom would serve it about once a week. 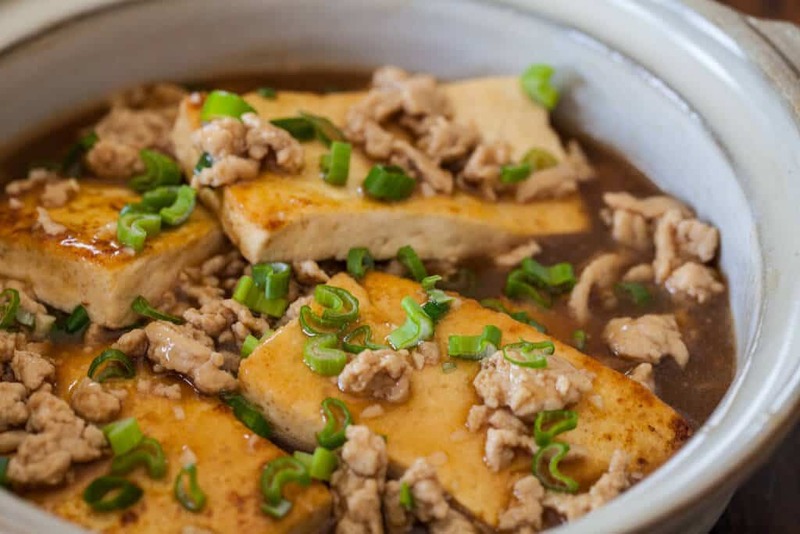 Tofu USED to be inexpensive years ago – but that was before it was being marketed to the American market. 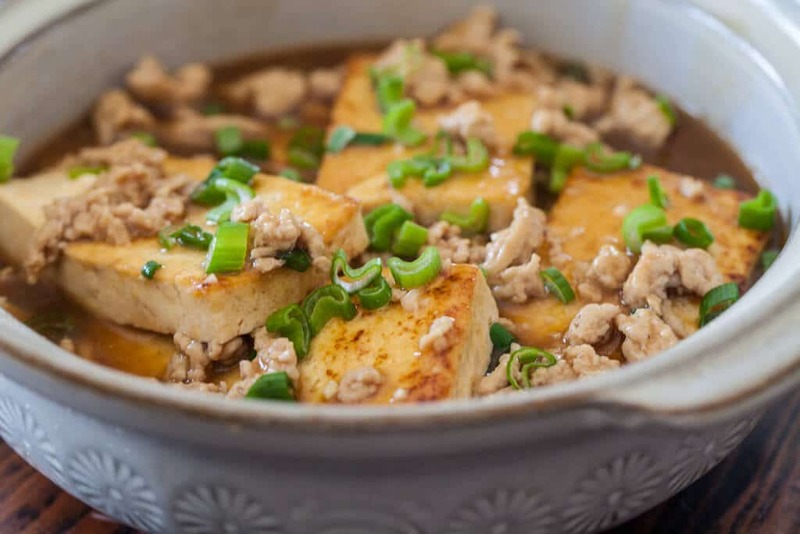 Tofu companies never had to “market” to the Asian crowd – we have always loved it! 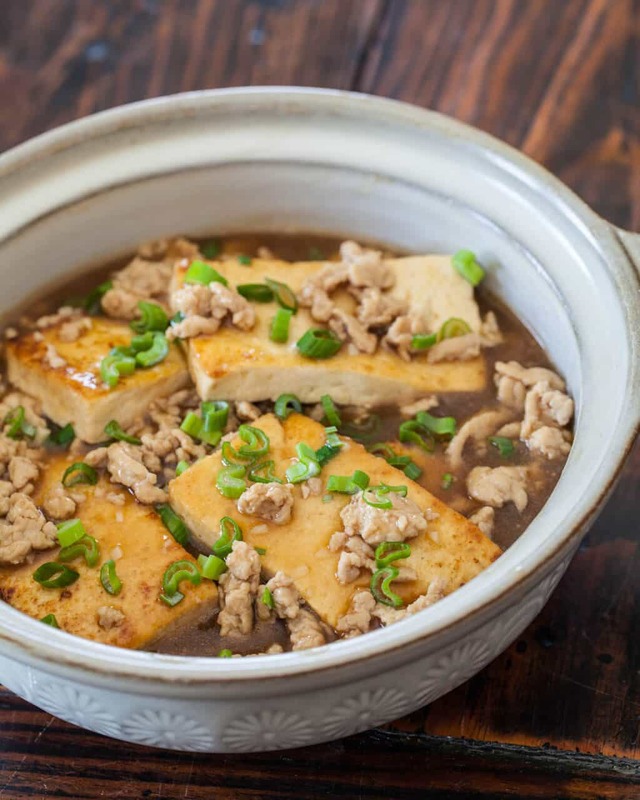 At some Chinese markets (and all of Asia), you can buy freshly made tofu – large blocks would be submerged in water, and you scooped out what you wanted. Did you know that not all tofu tastes the same? There are big differences in taste and texture (I know some of you are saying, “what, not all tofu is BLAND! ?”) My favorite brand that is easily found in most regular grocery stores is Nasoya. Here’s Serious Eat’s Tofu Taste Test. For this recipe, make sure you buy Firm or Extra Firm Tofu. Anything softer will fall apart in the dish. 1. Drain the tofu and place on towels or paper towels. 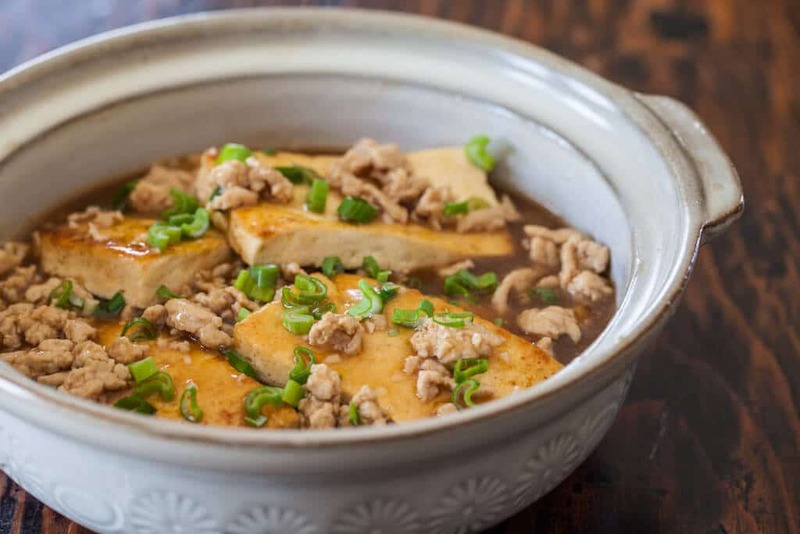 To get rid excess water in the tofu, place another towel on top of the tofu, then place something flat and heavy (like a cutting board or a cast iron frying pan) on top. You can weigh the cutting board down by putting a couple of cans of soup on top. Let sit for 10 minutes. Cut the tofu into several slices 3/4" thick. Season on both sides with salt, pepper. 2. Heat a wok or large saute pan over medium-high heat. When hot, swirl in the cooking oil. Very carefully and slowely slide in the tofu slices in one layer. Fry for 1 minutes, then flip to fry the other side for 1 minute until both sides are browned. Remove the seared tofu to a clean plate. 3. To the same wok, add in the ground meat. Saute until browned, about 2 minutes. Add in the garlic and the ginger and stir fry for 30 seconds. 4. Add in the chicken broth, oyster sauce and soy sauce. In a small bowl, whisk together the water and the cornstarch. In the wok, stir in the water and cornstarch mixture and bring everything to a simmer. Add the cooked tofu back in the pot. Lower the heat to medium-low. Let simmer for 5 minutes, until thickened. Mix in green onion. Serve with rice. I’ve made this for dinner tonight and I was nervous, as I am not normally good at cooking Asian dishes, but it turned out amazing. 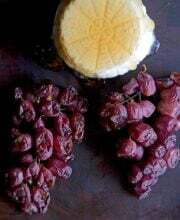 I used soft silken tofu, instead of firm tofu, and cooked it as a block instead of slices. 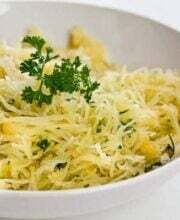 Apart from that I followed the recipe exactly and it was a big hit with my husband and our son. I will be making it again and again. Thank you!!! We love this recipe! You and your mom rock. I usually prefer the silky to fried tofu but this was delicious! This will definitely be a family repeat! Thank you! This was delicious ! And def reminds me of moms home cooking ! Will try to cook this tonight for my fiance’.. This was so simple and delicious! It was a last minute dinner to use up some quickly aging tofu in the fridge. I added shitakes and omitted the water/corn starch and it was a huge hit with my husband. It reheated quite well today for leftovers, too. Thanks for making such tasty and quick recipes! I added mushroom but I also seasoned the pork with a little ginger and garlic and let it set for a little while. I ground my own pork there was none to be found at the market the day I shopped and I think I like it better fresh ground. I made this tonight, and it was absolutely amazing! thanks so much for the recipe! i am typically TERRIBLE at preparing tofu, but this time i was successful!! Delicious and very comforting! i added a ton of kale and mushrooms as well. super yummy! I just finished enjoying this Jaden. I mostly like tofu but haven’t completely eliminated my Anglo-Saxon suspicion that cooked tofu will be somehow unpleasant, all evidence to the contrary. This dish was really tasty and so easy. Thanks for posting it. My mom used to make a version of this, but she’d steam the pork with preserved turnip (toh choy) and the tofu (unbraised, however). The pork would be very smooth. I tried this tonight following your recipe, but added some of the turnip and it was very good! Reminded me of my mom’s cooking. Even my teenage son liked it! Thanks. I made this tonight and I wanted to eat the whole thing! This looks amazing, I’m making it for lunch today! The video was great, but I noticed in step 4 of the written recipe that you didn’t mention when to add the tofu back to the pot. Tofu and I have chosen to agree to disagree without being disagreeable. Then again, I’ve only ever tried to do mine on the grill which probably isn’t the best theater for tofu. yummy! that looks soooo good! 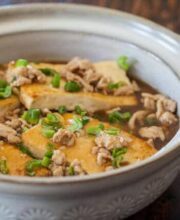 I love tofu cooked any way, so I am going to have to make this! This looks like pure comfort food to me Jaden – I’ve been making a lot of meals lately that remind me of home. Hmmm, we love tofu. Will have to try out this recipe next week. 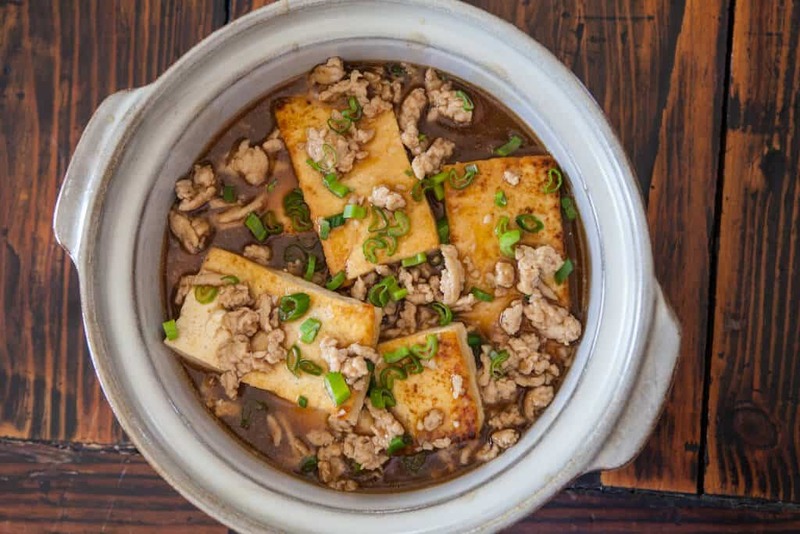 Pork and tofu are a magical combination. This really looks good! I am not a big fan of Tofu, but I don’t dislike it either. Whether I love it or feel is bleh….depends on how it’s cooked…or on the quality of the Tofu itself. Oh, I love this recipe. Mom used to make it at home and served over rice. So tasty! Oh, I love your video – short and precise. Perfect!